The most rustic looking of popular exterior shutter styles, board and batten house shutters were the most common type of shutter in America until the mid-18th century, when lighter and open louver shutters became more common. 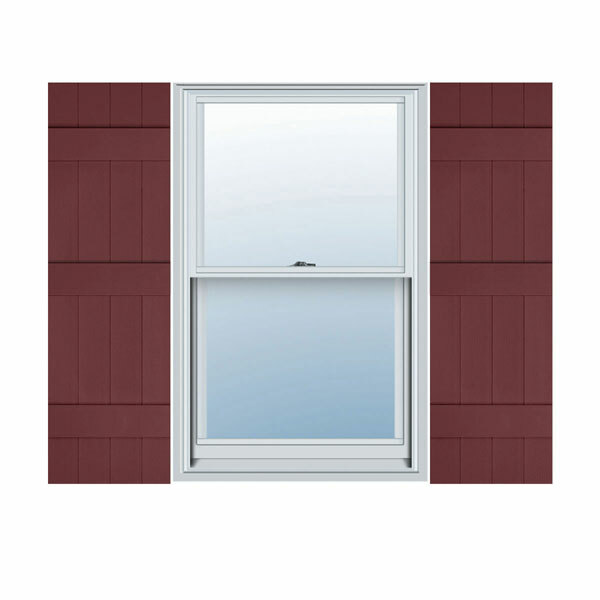 The board and batten shutters could be bolted and were thick, sturdy and good at protecting homes from inclement weather and intruders. Today they are most often used as ornamentation that brings back the charm of that era in our history. Although the name board and batten makes you think wood, as they were originally made from wood boards, they are often made today in inexpensive and durable vinyl. Exterior vinyl shutters, made of urethane materials, are resistant to cracking or rotting from sun or water damage, and require less maintenance than traditional wood shutters. 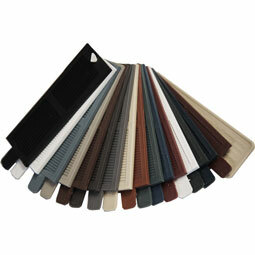 Home improvement stores offer a wide variety of board and batten shutters. Widths of these types of house shutters usually vary more than louvered or raised panel shutters, and really allow you to achieve a unique look through the different sizes and styles. Some board and batten shutters have spaces between the vertical boards, to allow sunlight and air to pass through. The number of vertical boards typically ranges between two and five, with a board crossing these horizontally at the top and bottom. They are also available curved at the top for rounded window openings. Orders over 40 pair will ship un-boxed on a pallet.